Enemy AI is a tricky subject. In almost any AAA title, there is some debate about the competency of the enemy. Even games that I consider difficult, have glaring omissions in the capabilities of the foes I face. The general push from most developers is to find a middle ground for enemy competence. It's one of many ploys to win the game more players; a push not towards innovation, but towards stable market returns. I think this particular area is ready for a shakeup, and there are a few games that have come tantalizingly close to pushing that envelope. I'm tired of tunnel-visioned guards or repetitively peeking bullet sponges. The enemies I face in the average action game behave in bland, predictable patterns. Shoot, run run, cover, repeat. Peek, shoot, repeat. If I throw a grenade, I can almost guarantee they will cower from it rather than flee. Play any modern shooter for more than two hours and you'll likely encounter every variation of tactics employed by the enemy AI. To an extent, this is due to the limitations of coding behavior. Any game only has the budget for so many lines of behaviors. There are only so many hours in day, days in a week and so forth. So how does one get around the issue of creating more interesting and challenging enemies? To begin to answer that, I need to introduce you to a game called Crawl. Only one of them will make it out. 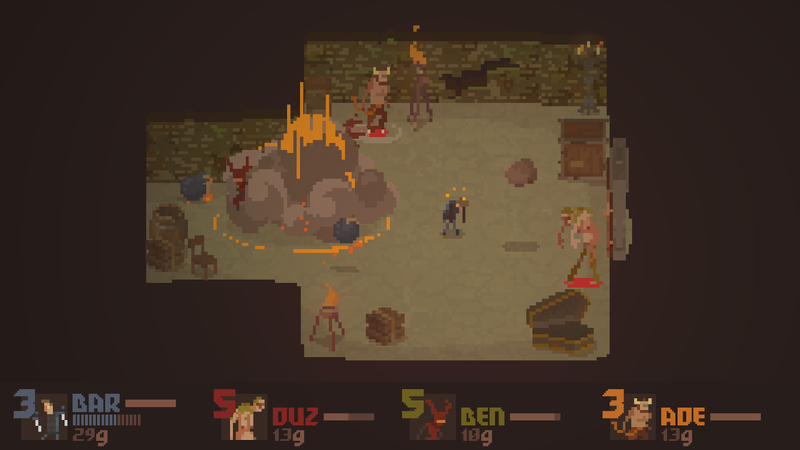 Crawl is an indie game from Powerhoof. Up to four players can play (locally, I might add) simultaneously. One player is the human hero of the story and everyone else controls the monsters and traps sprinkled liberally throughout the dungeons. By taking the combat away from a scripted AI and giving it instead to a player, Powerhoof has dramatically changed the way the game is played. One player may use the same monster as another, but in an entirely different way. 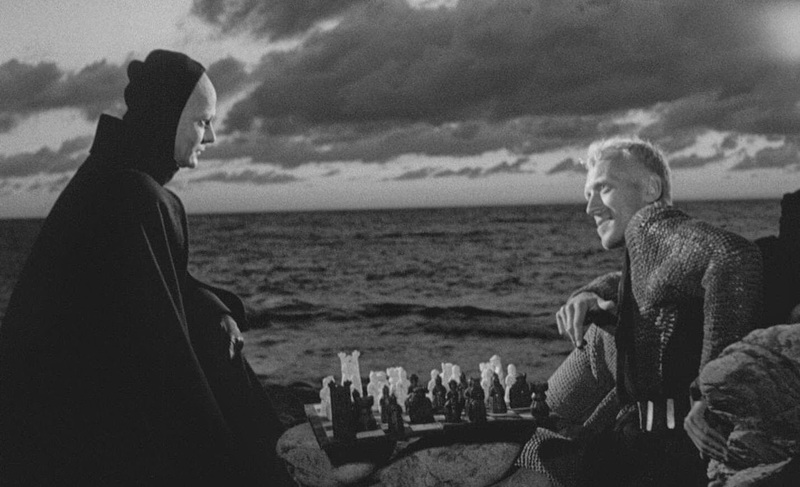 Even mundane enemies become dangerous when played by another person. What's more, the player who kills the hero, becomes the hero, thereby perpetuating the game, even in the event of the hero's death. Crawl isn't the only game out there changing up the way we play through our campaigns. 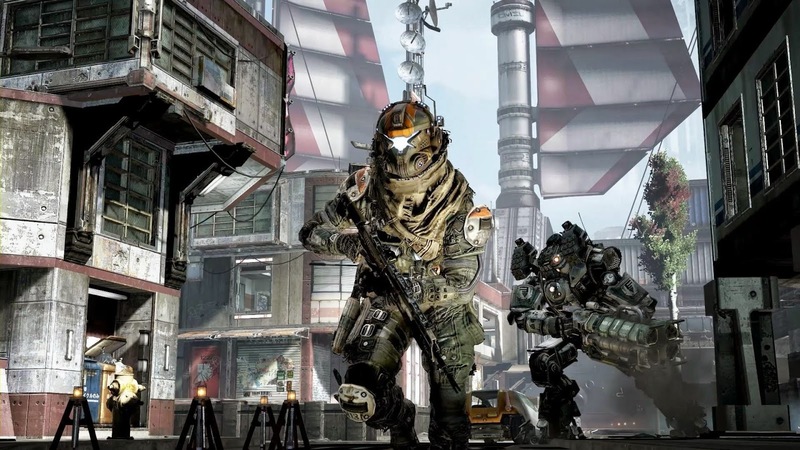 Titanfall is played entirely in a multiplayer arena. Throughout the campaign, the enemy is populated with other players. There are still plenty of bots and NPCs to pick off along the way, but the other players give the game a more dynamic feel. Titanfall even manages to make losing fun. In the campaign, your individual actions don't influence the story too much. It will reach it's inevitable conclusion, one way or the other. Your character is essentially along for the ride. With your character no longer forced into being the linchpin of the story, you're free to play as you see fit. Losing a match doesn't force you to replay the level. Instead, you're given a chance to evacuate the area and move on. There is no stress involved, no matter how good the opposing team is. With all that stripped away, all that is left is joy. It isn't all about adding more players to the mix though. A really terrifying enemy can be a singular, monolithic force. This doesn't require any vast backstory or well written dialogue. Alien; Isolation knows this very well. It pits you, not against hordes of xenomorphs, but against a single drone. It's bigger, tougher, faster and probably smarter than you. You cant hurt it with standard weapons, and ammunition and firearms are scarce. You are helpless against it. For the most part, the only thing you can hope for is survival. The alien speaks no dialogue throughout the game. It is a constant presence in an open world. It will actively hunt you, stalking you through the station, listening for disturbances. That whiskey bottle molotov is one of the more sophisticated weapons in the game. Pity it won't save you. Few things are more terrifying than a foe you cannot hope to kill. The alien, while not the sole enemy, is by far and away, the most threatening. 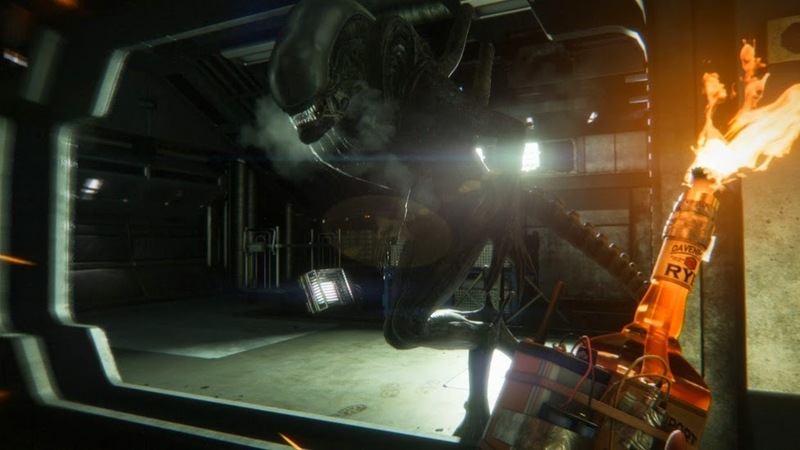 You may be able to easily outrun a rogue android, or hide from an agitated crewman, but you'll need to have a few tricks up your sleeve to evade the Xenomorph. By forcing the player into a desperate situation, Alien: Isolation plays on our primal fears, making it a memorable and adrenaline-inducing experience. Enemies and combat make up a significant amount of our play time these days. Be they robots, malevolent guards or fiendish monsters, it's time that we paid our foes their proper respect. I want the players to cower behind cover. No matter the setting, defeating a seemingly insurmountable foe is a feat that any player can appreciate. We deserve better, and at least a few developers are willing to give it to us.